The team of professionals at NORMIPro Management works hard to develop personalized services that fit its clients’ needs. There are no "one size fits all" solutions and NORMIPro Management has the flexibility to establish investigative services, training, and fulfillment for the most difficult projects. The NORMIPro Management team are experts at developing IAQ testing protocol to support the LEED Certifications. LEED IEQ Credit 3.2 has become the standard for commercial building contractors who seek LEED certification and guarantees a healthier environment in new buildings where VOCs, Carbon Monoxide, Particulate Counts and Formaldehyde need to be addressed. IAQ Testing for the LEED certification is the future for green building projects and NORMIPro Management stands ready to service that need. In the last year and a half over 100,000 homes have been identified as having tainted Chinese Drywall shipped to the US following the '05 and '06 hurricane seasons. As a result of using these products, customers have experienced health symptoms and recently petitioned their state and local government to find a solution. The cost of replacing drywall is astronomical and insurance companies simply cannot bear the expense after having suffered through the rebuilding costs following the hurricane seasons. While the source of the problem continues to be debated, the NORMIPro Management team of experts/engineers has developed a Sanitization Protocol to mitigate the risks of the H2S off-gassing and improve the over-all indoor air quality in these homes. Utilizing sophisticated pre/post screening techniques, this could the be low-cost solution customers want. The process is a highly specialized construction approach using the latest building science techniques and taking into account all of the known factors. This approach has proven to lower both microbial and VOC counts, managing them until, if ever, the specific problem is identified. With mechanical and chemical solutions in place, a NORMI Certificate of Sanitization, as third party verification, substantiates the efficacy and efficiency of this solution. NORMIPro Management has assembled a team of professionals and established strategic alliances to provide DNA sampling, evaluation, and interpretation services for both environmental and human testing. The testing undertaken by these labs is unique in its ability to not only determine if a patient's health problems are associated with toxicity in the environment but also in providing assistance in locating treatment to address the problem. 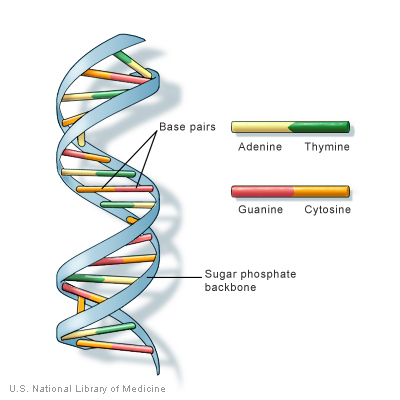 Being able to establish a causation link between environmental samples and human samples by utilizing DNA is revolutionary and substantial enough to use when litigation may be pending. Call on NORMIPro Management to provide the services your need for pre and post testing in the environment or the body. NORMIPro Management is trained in the areas of inspection, assessment, and remediation and provides services in all areas of indoor air quality and building inspection. Infrared imagers, for instance, "see" the heat radiated from your equipment, structure, or systems in real time just like a video camera sees visible light. In black/white thermograms (pictures of heat), white I hot and black is cold unless stated otherwise. When thermograms are in color, colors in the scene match to the reference bar. Colors appearing closer to the top or right of the reference bar indicate higher temperatures. Colors appearing closer to the bottom or left of the reference bar indicate lower temperatures. 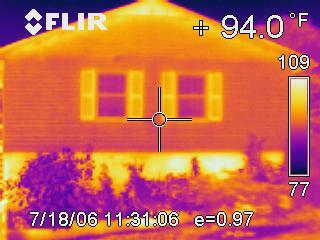 Thermal images provide a view into the unseen and, when used with traditional investigative techniques, enable the assessor to use non-invasive technologies to find thermal patterns that are an exception to the surface norm. These anomalies, when properly interpreted, can be a great source of information to solidify the suspicions of a trained professional assessor or property owner. Building science is the collection of scientific knowledge that focuses on the analysis and control of the physical phenomena affecting buildings. This includes the detailed analysis of building materials and building envelope systems. The purpose of building science and understanding the training that supports it is to provide predictive capability to optimize building performance and understand or prevent building failures. 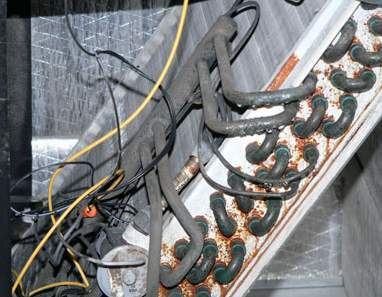 Those failures may include not only structural weaknesses but also failures in securing the building envelope against moisture intrusion that may result in wood rot, mold, or, in most severe cases, destruction of the structural integrity of the building. NORMIPro Management provides analytical services to evaluate the building envelope and components that contribute to failures. Our on-staff resources include consultants and technicians with TWIC Security clearance from TSA (Transportation Security Administration, a division of the US Department of Homeland Security), CPR Training, SafeGulf, Driving Emersion, Lockout/Tagout, Working from Heights and Water Survival Training allowing us to provide analytical services in the most remote and secure circumstances. Our personnel has over 75 years of Law Enforcement, emergency management, and investigative field experience which maximizes our offerings into industries other consultants cannot reach. The combination of high level security clearance and field training allows NORMIPro Management to tailor its solutions to the specific needs of each industry it serves and produces a level of client confidence unparalleled in the environmental consulting field.